Swimwear Express is changing the way you shop for swimwear... One woman at a time. Swimwear Express approaches your experience with a little twist! 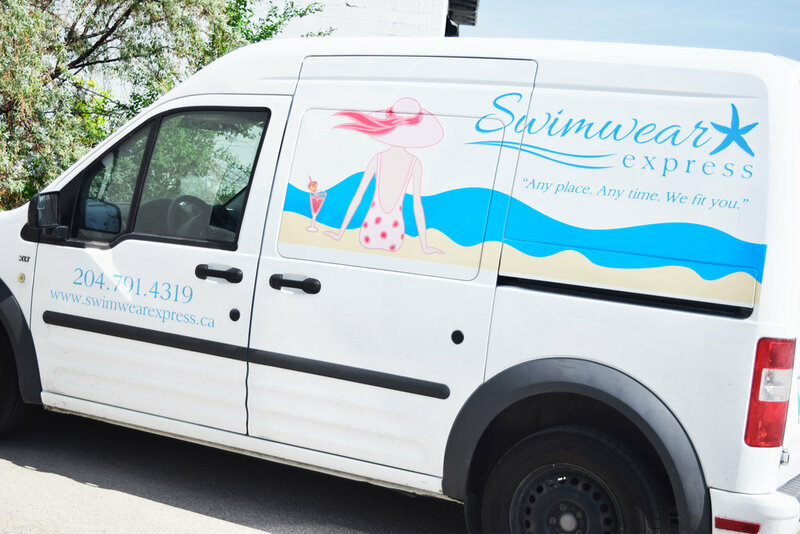 Swimwear Express is an appointment only based business which offers a mobile service as well. So, you can shop solo, or schedule a fun group appointment with your girlfriends at the shop or at home! Upon arrival, Jaime will sit down with you and/or your friends to chat for a bit. She genuinely wants to get to know you, your likes, dislikes and needs for your swimwear. Then, this is the best part... you don’t have to do anything. Just sit back and relax while Jaime chooses some swim styles for you based on your preferences and body-type. Let’s just say you’ll be more than surprised and impressed with how easy Jaime makes the whole swimwear shopping experience, and how much you’ll love her picks for you. “I want all my clients to feel empowered and have a positive experience in the shop. Even if the customer doesn’t buy something, I still want them to leave feeling good about themselves and seeing the beauty that others and I see in them,” said Jaime. Jaime’s goal is to get her clients in a lot of different swimwear options and especially styles they probably wouldn’t have tried on themselves, but she says that’s the point! Jaime will get you outside of your comfort zone, help you realize your true beauty no matter what size you are. When you leave Swimwear Express you will feel empowered and ready to flaunt your new fabulous purchase! So make you appointment today!